I hope you are excited about the PC release as we are! 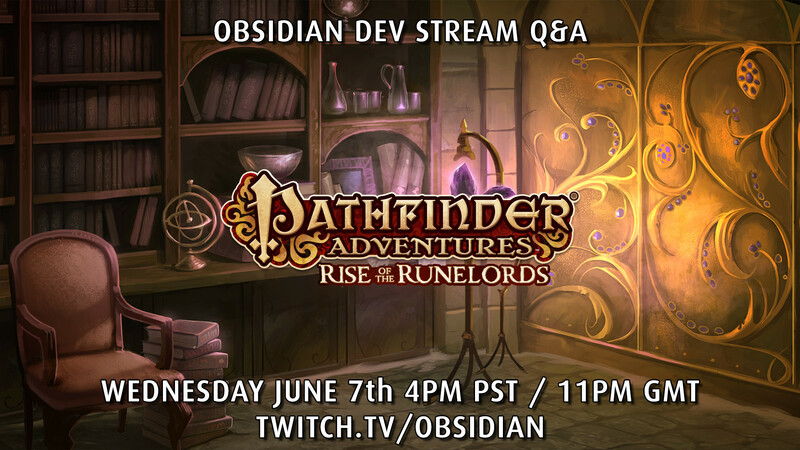 This Wednesday we are having a Q&A Stream with the Devs of Pathfinder Adventures! Feel free to post your questions here so we can answer them on the stream! As someone who's been waiting for a PC release before getting in on this, what exactly is the difference between the Base Game and the Obsidian Edition? Also how exacly you can mix and match Android, iPad, and pc accounts. What does Asmodee taking over publishing mean, exactly? Is the same development team working on the game? Are there plans to bring the other sets that have been released to the app as well? What about adventure paths that haven't been adapted yet? Really want Jade Regent! Sadly, I have to work Wednesday night. Will the livestream be posted on Youtube or anything afterwards? Will you be adding the organised play scenarios to the app (Season of the Runelords)? Loosely related to the above, will you be adding class decks to the app? Are there any news on multiplayer? Is it dead for good? Is it still planned? any chance to have the stream subtitled in english(the following day sure) or a dev blog on the stream? Is there any more news regarding Quest mode? I assume that it is going away when the PC version lands, but are there any plans for it returning in the future? Will any content be exclusive to a platform? Edited by Dunesparrow, 06 June 2017 - 03:40 PM. When can we expect to see the 'Rise of the Goblins' content? Will future content be released simultaneously on all platforms? Edited by Dunesparrow, 06 June 2017 - 03:39 PM. Now that the Steam and Asmodee announcements have been made, can we expect regular communications or is radio silence the new normal? Will there be any cross-promotion between Pathfinder Adventures and the upcoming Kingmaker CRPG Kickstarter or the 37Games/Dragonclaw CCG? 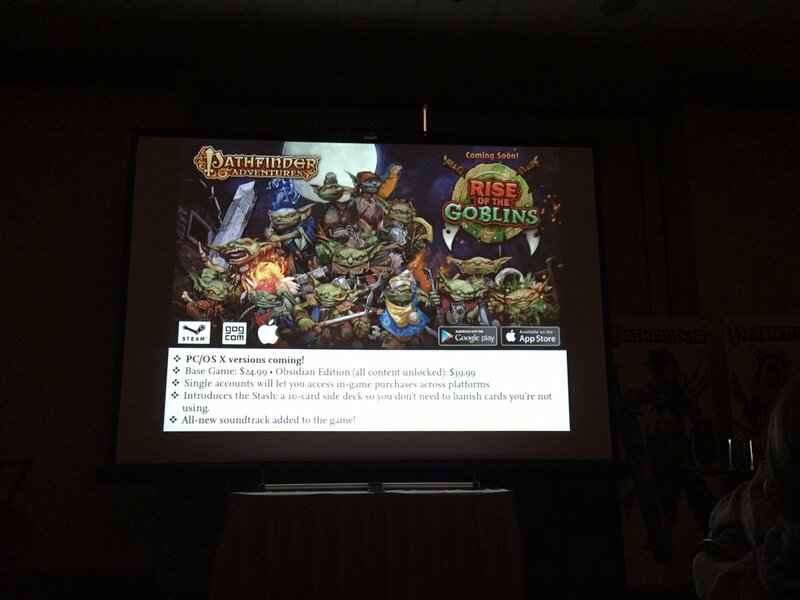 After 'Rise of the Goblins', what content do you plan to release next and will we see it before the end of 2017? Will Pathfinder Adventures be at E3 2017? In the next patch, will we still receive the benefits as per the 14 Feb blog post? Once released on Steam, will there be micro transactions? Get the skinny from the latest Dev Blog from Flounder! Adding more fuel for questions to be asked!